Audio software, video software, programs to watch movies, software to listen to music, television software, programs for free download Open Video Capture, ACDSee Video Studio, Kate's Video Joiner, Kate's Video Cutter, Kate's Video Converter, Kate's Video Toolkit, Webcam and Screen Recorder, 1X-AMP, 1X-RIPPER, Audio Reader Download for free! »» Free download Open Video Capture! Open Video Capture ::: a computer program that allows users to record videos using the webcam. Using Open Video Capture, video recording is a much simpler and more efficient job. Open Video Capture is a simple, stable, fast and efficient video capture program. »» Free download ACDSee Video Studio! ACDSee Video Studio ::: a computer program that allows users to create and edit video files. Using ACDSee Video Studio, editing video is a much simpler and more efficient work. ACDSee Video Studio is compatible and allows you to work with the most popular video formats. »» Free download Kate's Video Joiner! Kate's Video Joiner ::: a computer program that allows users to merge video files. Using Kate's Video Joiner you can combine video files of different formats in a single movie. Kate's Video Joiner is compatible and supports the most popular video formats. »» Free download Kate's Video Cutter! Kate's Video Cutter is compatible with most video formats. »» Free download Kate's Video Converter! Kate's Video Converter is a simple, stable and very useful conversion program. »» Free download Kate's Video Toolkit! Kate's Video Toolkit supports and is compatible with most popular video formats. 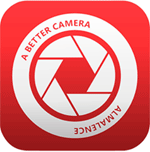 »» Free download Webcam and Screen Recorder! 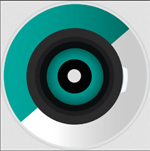 Webcam and Screen Recorder is a simple, stable, fast and efficient video capture program. 1X-AMP ::: a computer program that allows users to listen to music. Using 1X-AMP you can listen to music in different audio formats. 1X-AMP is a simple and very fast audio player. 1X-RIPPER ::: a computer program that allows users to extract audio from audio CDs. Using 1X-RIPPER, you can save all your music CDs in MP3 files. 1X-RIPPER is very useful when we want to store the music CDs on the computer. »» Free download Audio Reader! Audio Reader ::: a computer program that allows users to convert written text into speech. Using Audio Reader you can listen to your text documents. Audio Reader can read any text aloud to you.